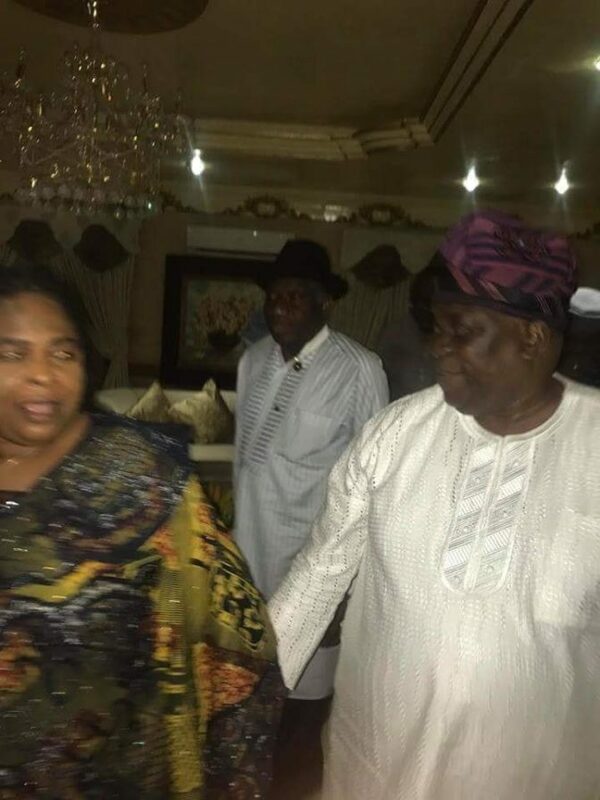 Chief Olusegun Obasanjo, a former Nigerian President has met with another ex-president, Goodluck Jonathan and his wife, Patience recently. 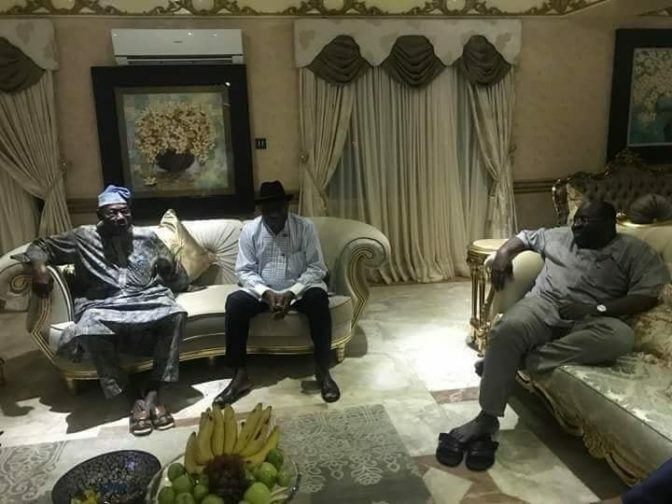 The meeting reportedly held at Jonathan's residence in Otuoke, Ogbia Local Government Area, Bayelsa state this morning. 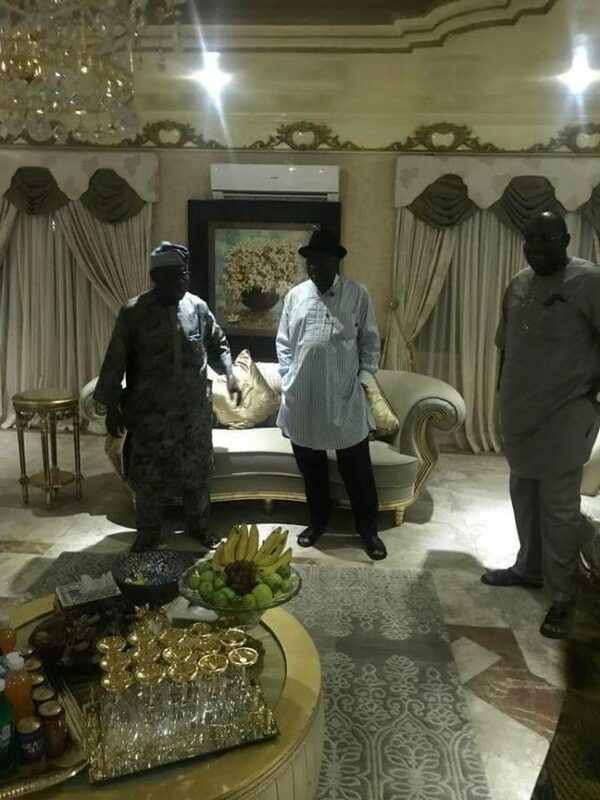 The former presidents held a close door meeting with other dignitaries including the governor of Bayelsa, Mr. Seriake Dickson. Photos showed the diniaries together in Jonathan's home. Obasanjo who arrived Yenagoa, the state capital yesterday with other notable personalities for this month’s Bayelsa praise night, earlier visited Goodluck Jonathan some months ago in Bayelsa where the former president (Obasanjo) described the visit as a meeting of brothers.